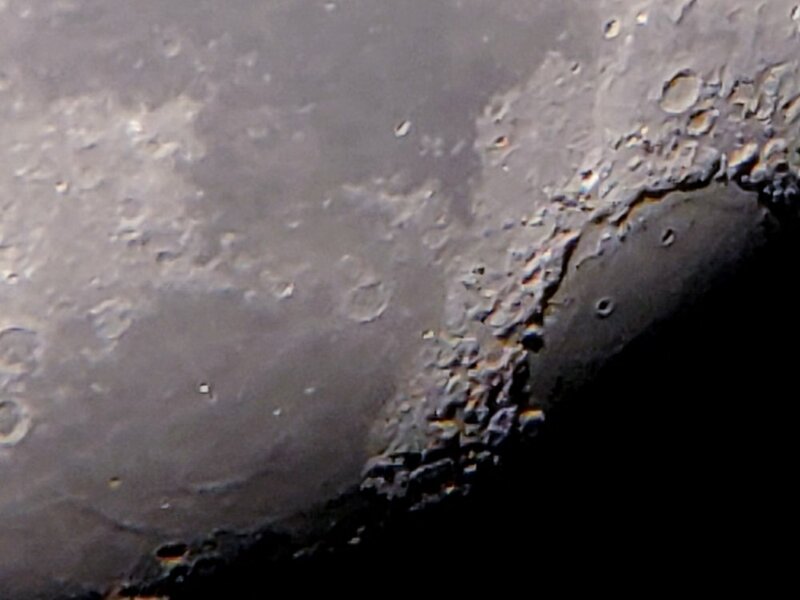 Montfort Freshman Evan Iervolino took stunning images of the Orion Nebula and the Moon through his telescope over Christmas using a simple adapter for his telephone camera to hold his camera still. The Oprion Nebula clearly shows stars “being born.” The stars in this cloud of dust and gas are only a few million years old, and are considered baby stars. Nebula are the birth places of stars, and the Orion Nebula is one of the most readily nebula visible even with the naked eye and through binoculars. The Orion Nebula and the stars within it are about 1,350 light years away, which means the images that Evan took show the Orion Nebula as it was 1,350 years ago.